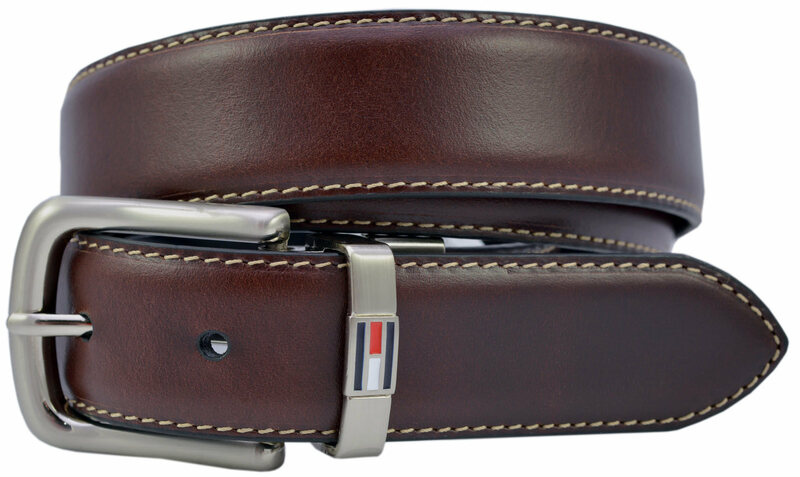 The Tommy Hilfiger Stretch Woven Green Cotton Canvas Belt sports leather trim, the "Hilfiger" signature embossed on the brushed stainless steel buckle and imprinted on the leather tab end and Tommy's timeless red, white and blue emblem on the buckle leather tab. A more casual look is conveyed with the Khaki Chambray men's canvas and leather belt. Thanks to Tommy Hilfiger, chambray is no longer just for your shirt; now it can be part of your belt, too. Give colored denim or classic chinos a fresh edge with this khaki belt. 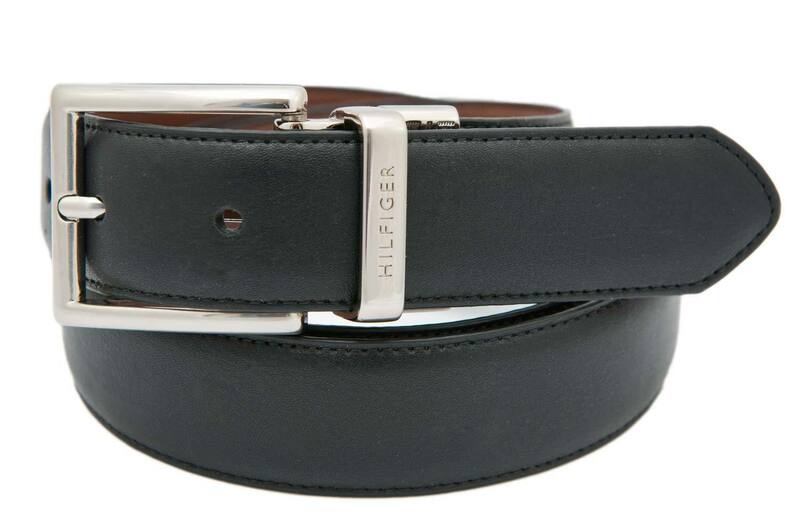 Looking for a belt that will look good and stand up to day-to-day wear for a long, long time? 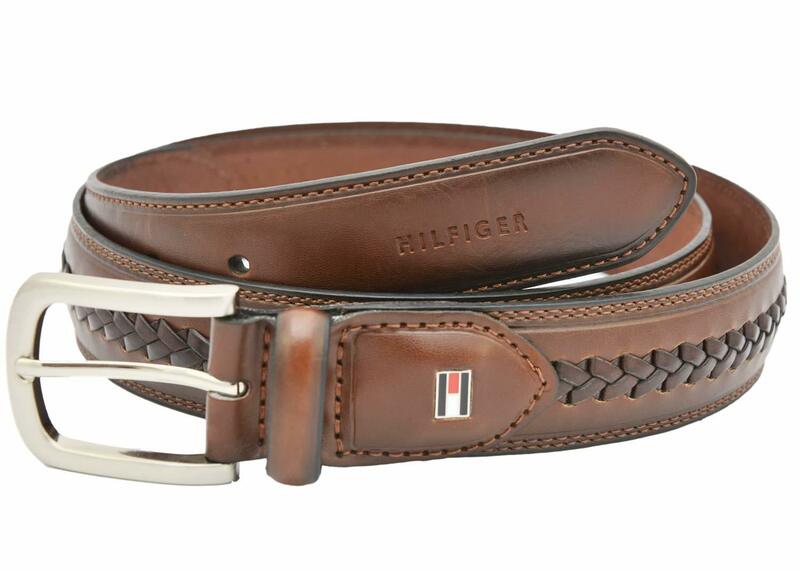 Then look to the collection of Tommy Hilfiger Belts on sale at The Belt Shoppe. Handsome accents and distinctive details are the hallmark of Tommy Hilfiger accessories, and Tommy Hilfiger Belts for men are no exception. 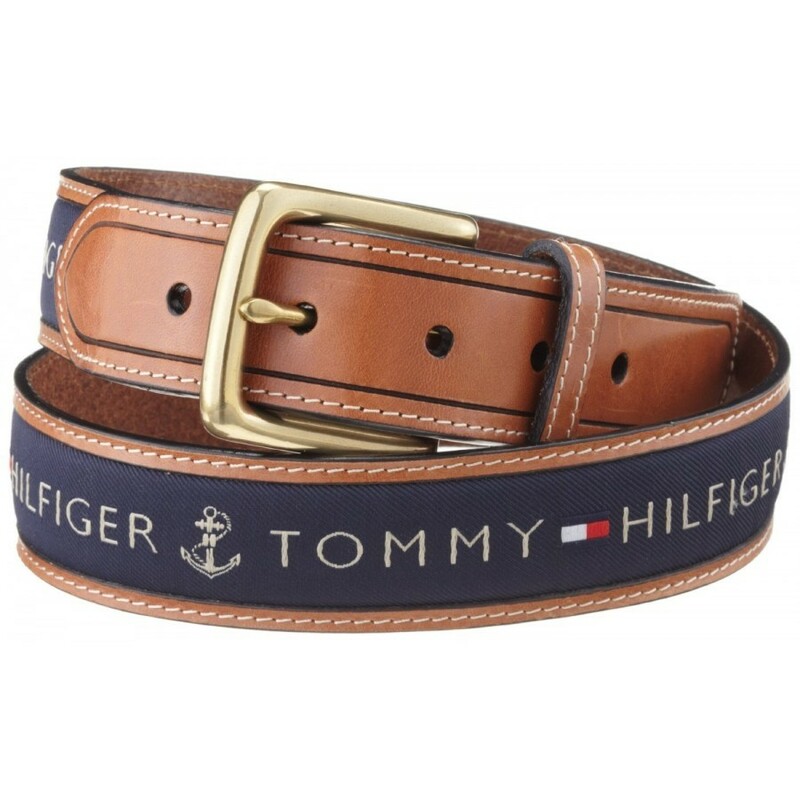 Find the largest selection of Tommy Hilfiger leather belts at TheBeltShoppe.com. Never do we sell seconds; it's always top of the line first quality.